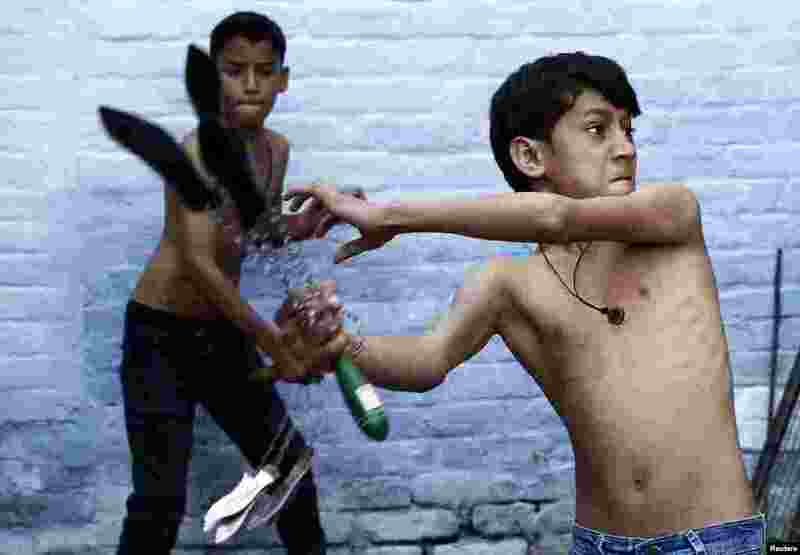 ۱ Shia Muslim boys flagellate themselves during a Muharram procession ahead of Ashura in Amroha, in the northern Indian state of Uttar Pradesh. Ashura, which falls on the 10th day of the Islamic month of Muharram, commemorates the death of Imam Hussein, grandson of Prophet Mohammad, who was killed in the 7th century battle of Kerbala. ۲ Shiite Muslim worshiper beat themselves at the shrine of Imam Abbas to commemorate Ashura in Karbala, 50 miles (80 kilometers) south of Baghdad, Iraq. 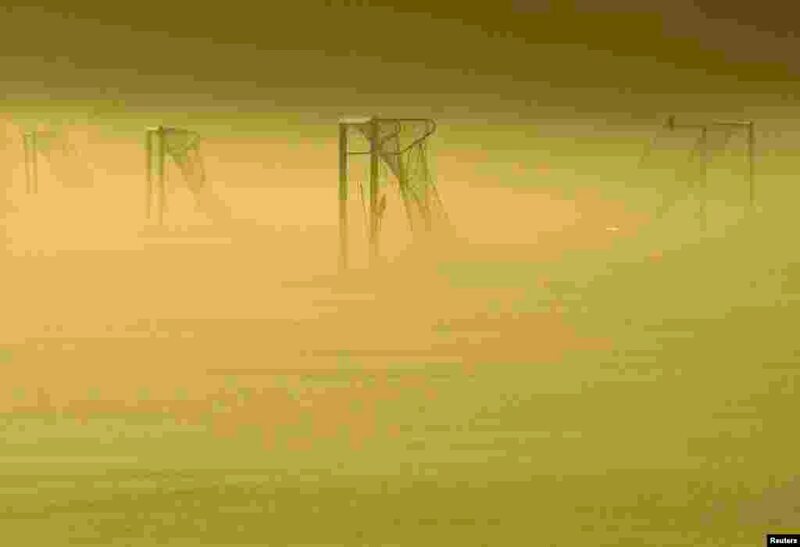 ۳ Soccer goal posts are seen in the autumn mist at Dukes Meadows in Chiswick, west London. 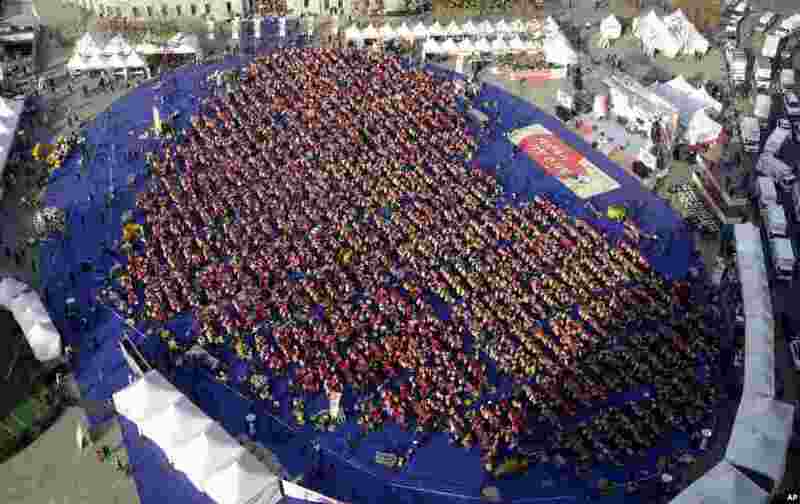 ۴ Participants arrange themselves in the shape of a heart while making kimchi, a traditional South Korean pungent vegetable dish, in front of Seoul's City Hall in South Korea, to donate to needy neighbors in preparation for the winter season as they attempt to set a Guinness World Record for kimchi made by the largest number of people in a single place. 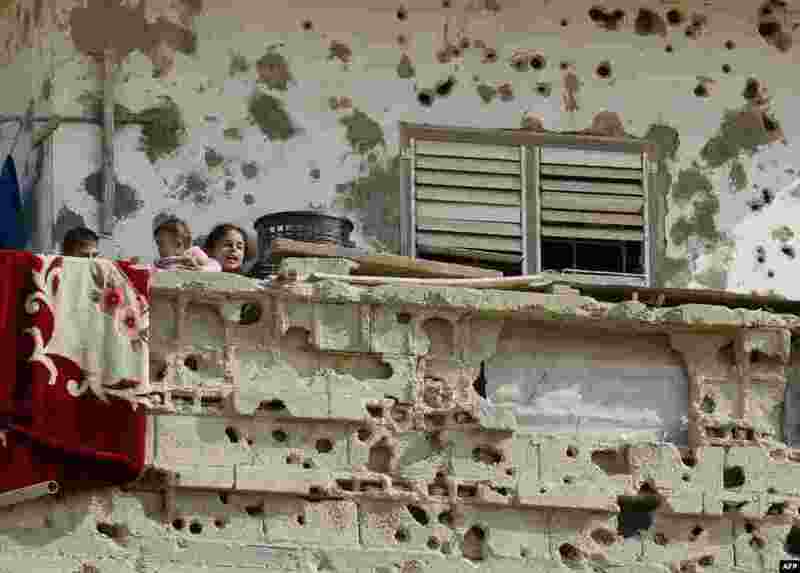 ۵ Palestinian children stand on the balcony of their family house which was damaged during an Israeli army operation launched after the killing of top Hamas military commander Ahmed Jaabari last year, in Rafah, southern Gaza Strip. 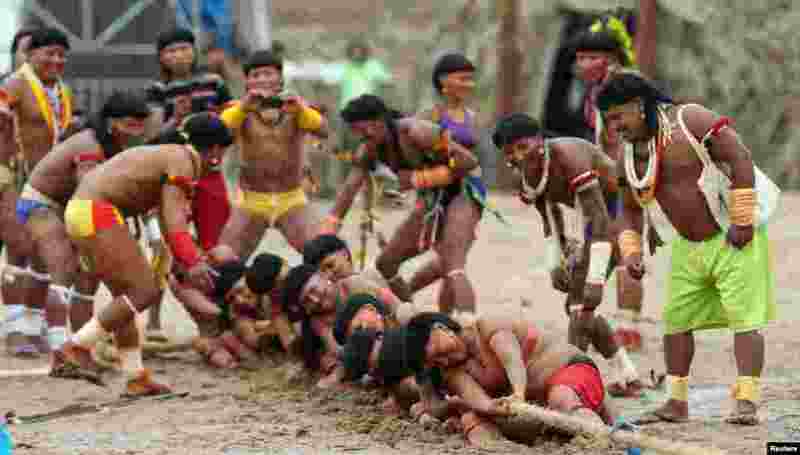 ۶ Members of the Brazilian Enawene-Awe indigenous ethnic group compete in a tug-of-war competition at the XII Games of the Indigenous People, in Cuiaba. ۷ Puntland's officials visit a bridge between Garowe and Eyl that was destroyed by a storm in Somalia's semi-autonomous Puntland region near Bosasso, Nov. 12, 2013. 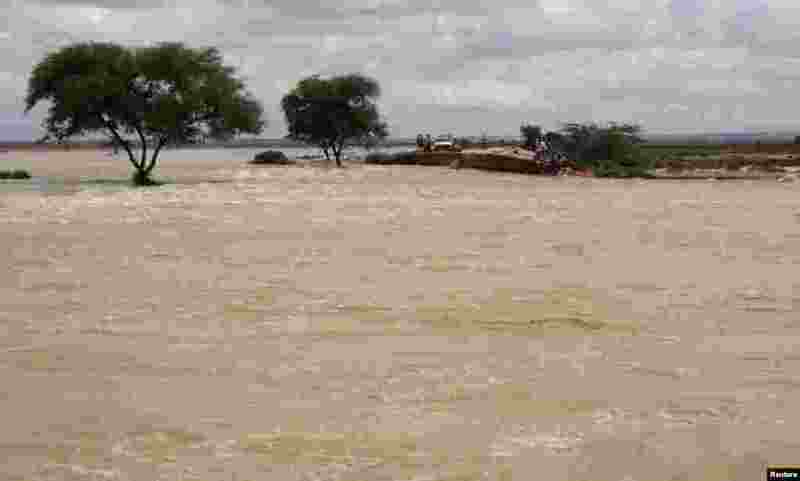 The death toll from a tropical cyclone that hit Puntland on the weekend has risen to 140 but the final figure could total 300, the government said. 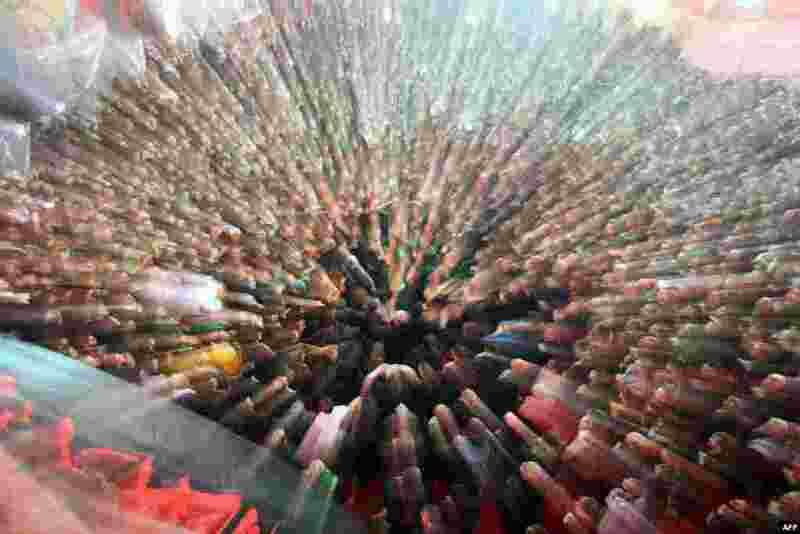 ۸ Turkish Shi'ite girls watch a re-enactment of the battle of Kerbala on a huge screen during an Ashura procession in Istanbul.